This elegant stainless steel challah knife from the Prima collection will add class to your Shabbat table and will elevate the Shabbat spirit when slicing the challah loaves. The blade and handle of this challah knife are one solid piece, making the challah knife strong and durable. 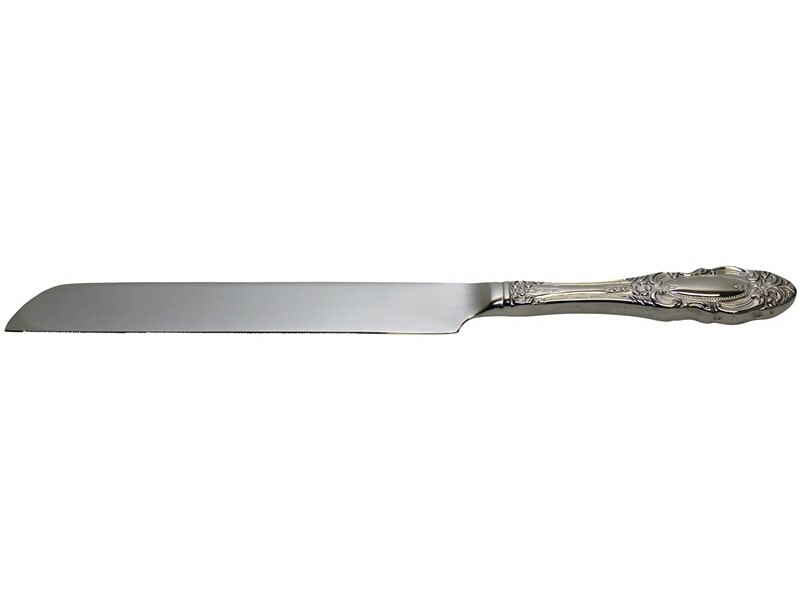 The knife’s handle is shiny silver colored and outlined with exquisite silver colored designs.